Whenever I sit down to write reviews, I like creating a nice environment for me to write. I constantly change up my desk to keep it fresh - which helps to keep my writing fresh and keeps me from falling into a rut. In the darker months, I love lighting a candle, turning on my vintage lamps I bought at a flea market, accompanied by a cup of tea. Once I'm in this setup, nothing can stop me. But, of course, great music fuels the excitement. And since we only feature music we truly enjoy, reviewing music for HITS is an absolute pleasure. Today's EP might actually be one of my favourites of 2017, so let's check it out! Mighty Oaks are a trio based in Berlin, Germany. With all three members being from different parts of the world, they met after a gig in Hamburg, Germany. Slowly but surely, they all had moved to Berlin and soon enough they started making music together. Ian Hooper (USA), Claudio Donzelli (Italy) and Craig Sanders (UK) have been playing and recording together for a while and Mighty Oaks have become a much appreciated band in the Alt-Folk industry. In 2010 they released their debut EP "Driftwood Seat", in 2012 follow-up EP "Just One Day". Soon afterwards they played alongside Kings Of Leon, Dry The River and Chvrches. Spending their Summers playing tons of festivals, Mighty Oaks gained the support of countless music lovers which was very obvious when the band's debut album "Howl" instantly made it to the top ten in Germany. March this year they released their highly anticipated second album, "Dreamers". And now they are here with their "Storm" EP, which we can't wait to share with you. Opener "One Shot" invites you to dream. It has one of the most beautiful melodies which is underlined by calming acoustic guitar chords and carried by a harmonies as stunning as they could be. Soft string arrangements allow you to focus on the depth of the song; yet not one elements weights you down. "One Shot" is a musical candle lit dinner, providing pretty much everything you could wish for. Title track "Storm" deserves the title track position. It's a charmingly melancholic song which has a hynoptising feeling to it - it asks for your attention in the most polite way and you'll gladly obey. It's difficult to pick a favourite element in the song, as all details make the track what it is - a stunning and moving piece of music. "The Dark" is the final track on the EP and it really is the big finale. Even though the instrumental is very simple and focuses on the electric guitar, the song sounds big and powerful. The soft string arragement shines a beautiful and emotional light on the song and probably will leave you putting the song on repeat. 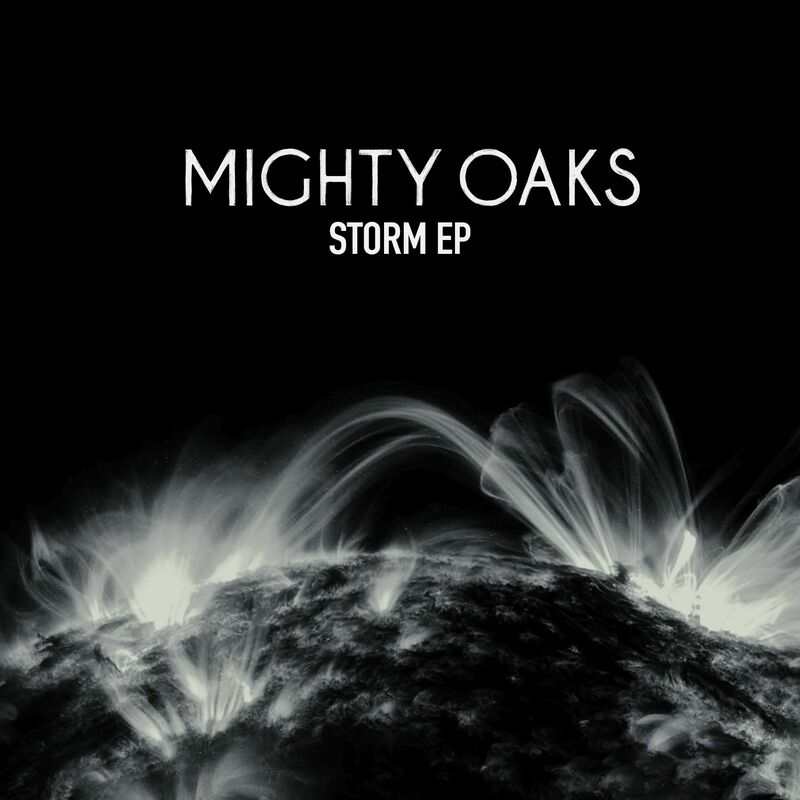 To sum it up: The "Storm" EP proves that Mighty Oaks have a talent for writing the most beautiful melodies around and know how to use that power wisely. Every track on the EP demands your attention without coming on too strong. This EP is an essential for cozy nights at home.